Going by many other names, pipe expansion joints are vital in pipe work as they negate the effects of some interfering elements. Thermal expansion, vibration and movement are difficulties posed in some pipe applications but with the right expansion joint, they are much more robust and likely to withstand pressure. To determine which type of expansion you require, gauge the pressure of your application as this will then help you understand how many convolutions you require. The material that they are made of is variable and can range from PTFE to plain old rubber. The joint you need again depends on what sort of process it will be needed for. If it’s particularly heavy duty, you may be best served looking at something like a stainless steel expansion joint which will be able to resist many exertions of pressure as it’s one of the most solid metals known to man. A PTFE expansion joint on the other hand is far more applicable for delicate procedures where supporting equipment may be likely to come under pressure. As a very durable material considering its lightweight aesthetic, PTFE can resist against chemical dangers which is an essential should you be working in a volatile atmosphere, particularly with regards to health and safety. Similarly, rubber expansion joints may not look like they are highly durable but this is actually the case. Also known as bellows, they are popular for the capabilities when it comes to the preservation of your piping under thermal pressures which can lead to distortion. These innovations are also known to be quite adept at compensating for any movement within your pipe work as their flexible nature makes them highly dependable. 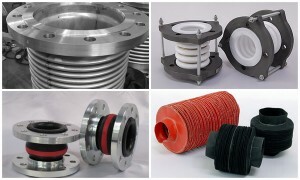 All of these expansion joints are available from a quality supplier who will be able to work with you, for you. Many of these joints are customisable so to receive the best in service, ensure that you call an esteemed and respectable supplier.